It’s no surprise that most data center managers and operators are becoming more educated about what’s available in Data Center Infrastructure Management (DCIM) software, and more importantly, which features make it easier to complete daily tasks. Part of the reason for this increase in data management software knowledge is practical experience. Many organizations are on round two (or three or even four) of their DCIM deployments. Previous attempts at DCIM may have ended in failure, but even successes may have left data center managers wanting more from their tools. That’s where the new generation of DCIM software tools comes in. Second-generation DCIM software addresses many of the challenges faced by early adopters of its older counterpart and is typically more suited to meet the needs of modern data center environments. 1. You tried DCIM software before and came away disappointed. As with any early product iteration, legacy DCIM software tools tend to have limited capabilities. Such products often overpromise but underwhelm. As a result, early adopters often struggle to get their software up and running. Once they start using DCIM tools, data center managers might find key functionality missing or difficult to leverage. Additionally, data centers are becoming increasingly distributed. Data center assets are spread across enterprise data centers, colocation data centers, and private/public clouds. These hybrid data center environments create management challenges that cannot be overcome with legacy DCIM tools. How can data center managers cross the data center software chasm? It starts with second-generation DCIM software that combines enhanced versions of the monitoring and operations features available in legacy DCIM tools with new functionality and usability enhancements for modern data center environments. For example, second-generation data center asset management is scalable, can handle both physical and virtual assets in a single system, and simplifies data center capacity planning through what-if analyses and the ability to make use of capacity for resources that are planned for decommission. 2. You want to make the most of your data. Modern data centers are extremely dense and complex. Smart devices such as intelligent PDUs (iPDUs) come equipped with sensors and ports that allow data center managers to collect and analyze thousands, and in some cases, millions of data points. These include data for temperature, humidity, airflow, smoke/fire, water, contact closure, and other sensors. The performance and quality of such equipment have also improved, without a significant increase in price, making it a more accessible and lower risk investment. Legacy data center monitoring tools simply can’t support this volume and variety of data. Additionally, data center managers are looking for more visual analytics and improved business intelligence that can provide insights to help them manage their data centers. Second-generation DCIM software includes these features while also enabling users to get data in and information out quickly. Second-generation DCIM also enables users to share their data with other members of their teams to break down silos and improve collaboration. 3. You're tired of DCIM software tools that are difficult to use. A common complaint about legacy DCIM tools is that they're not easy to use. Individual pages could take minutes to load, especially with a large database. And since traditional DCIM tools rely on old technology, simply creating a report may take several clicks, and running that report could take hours. In contrast, second-generation DCIM software uses an elegant user interface that doesn't use outdated technologies, so it works well in modern browsers and with support for mobile devices. Pages and reports load quickly, regardless of the size of your database. Most importantly, the features are intuitive and work the way you'd expect, so you can start using the software without having to constantly jump to documentation or contact technical support. Newer DCIM software is also more likely to focus on usability and enabling users to leverage features with fewer clicks. It provides a more complete solution so you won’t need multiple products or modules to manage your data centers. Bonus: You want innovative software that integrates with your current tools. Older DCIM software tools typically focus on just a few facets of data center management, such as asset management or power monitoring, and require the purchase of modules to provide more capabilities. In contrast, second-generation DCIM provides a more complete set of common features out-of-the-box while also meeting the evolving needs and requirements of users. 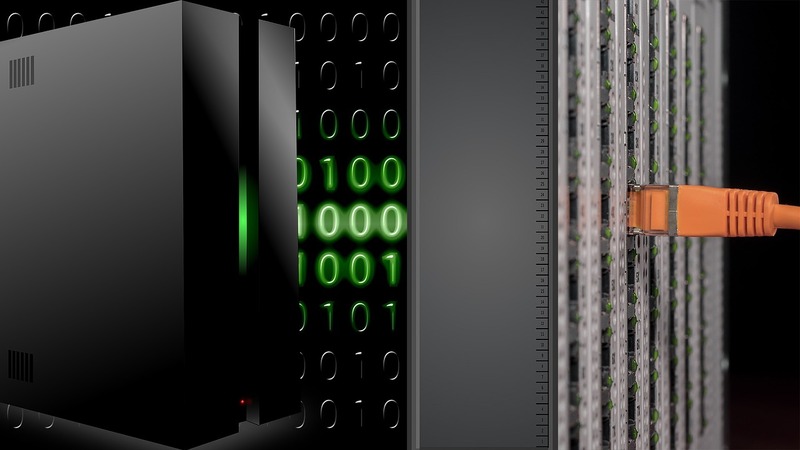 For example, most modern data center environments leverage virtual resources, such as VMs, hosts, and clusters, to decrease their physical capacity requirements and costs. Legacy DCIM tools can only support traditional physical assets, leading to an incomplete picture of your data center asset management. Second-generation DCIM software enables you to manage physical resources alongside virtual assets in a single system, giving you better visibility into your virtual environment to simplify hybrid data center management. Another example of innovation in DCIM software is security management. Data center security is a critical concern for any manager, but legacy DCIM software typically does not have the capability to manage physical, as well as informational, security. This means that managers would either need a separate system for security or access to areas that would simply be secured manually—if at all. Second-generation DCIM, on the other hand, can be used to manage data center security as well as other critical concerns, such as power management and asset inventory management, providing a single-pane-of-glass view for all data center activities. Cabinets and containment areas can be secured electronically, with RFID-enabled card readers and the associated doors managed within the DCIM software. Role-based granular permissions can limit a user’s physical access as well as to the data that they can view and change in the software itself. Today’s data center managers have moved beyond Excel, Visio, and traditional data center management tools. They expect solutions that meet the requirements of modern data center environments and leverage new technology to maintain uptime, drive efficiency, and boost productivity. If these signs sound familiar, consider trading up to second-generation DCIM software that is fast, easy, and complete. Want to see second-generation DCIM in action? Take a test drive today. Originally published September 29, 2017; Updated July 13, 2018.